In need of some woodwork? Chances are you’ll want to hire a Lakeside, CO carpenter. Carpenters work with all types of wood and can specialize in many different areas, including framing, finishing and custom-made furniture. Make sure you choose the right Lakeside carpenter for your job by asking plenty of questions, viewing their past work and reading reviews. Serving the greater Denver area, VIP Construction has been doing business with the great citizens of this region for more than 10 years. We welcome projects from both homeowners and general contractors. Our experienced team is able to take on jobs in new construction homes, as well as doing remodel work. It is the fine details that you can count on being handled correctly when you team up with VIP Construction. You will enjoy top-notch customer service throughout the job, and we always strive to deliver the greatest possible value for your investment. Each of our customers is extremely important, and we want you to feel that way at all times. Wood Rehab is known for our quality products and skilled craftsmanship. Our reclaimed wood or Shou Sugi Ban (burnt cedar) will enhance any area with a modern touch and vintage feel that soon becomes a story piece of its own. Whether you want a vintage, classic, or modern look, we are the one stop "Rehab" shop for you! Want Shiplap or a reclaimed wood wall feature? How about a custom sliding barn door? 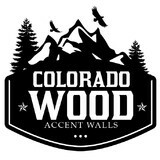 At Colorado Wood Accent Walls and Barn Doors, all of our products are 100% real wood. We do large multi-wall projects to small accent walls and gorgeous custom made-in-the-usa sliding barn doors. Professional installation included. Check us out today! J. Calpin Custom Interiors, Inc.
Fine craftsmanship and design. Creating stunning home interiors. Based in Morrison, we serve the Denver, Front Range and Rocky Mountain areas. Stem Woodwork specializes in custom cabinetry, staircases and custom built furniture. We can build what you need! Artisan Woodcrafts and More... LLC. Wood, it' what we do. With a 14' mobile woodshop we can field fabricate and custom install nearly any one of a kind stand-Alone piece or custom built-in unit. Our Master Carpenters also work with heavy wood timbers and beams for that WOW deck and gazebo. For your homes interior we can fabricate and install various interior trim, floating shelves, bookcases, cabinets and even closet organizers. We also repurpose and use reclaimed wood as well as Colorado Beetle kill wood. 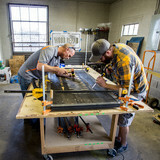 At Inside Trim Co, we pride ourselves in our industry expertise and excellent customer service. Our mission is to work closely with our clients to give them a renovation experience that is easy and stress-free, with results that stand the test of time. Since 1994, owner and principal Bob Davis has been designing and building beautiful custom cabinetry, as well as providing new construction and remodeling services. As a master craftsman, Bob is able to assess your vision and needs, draw out a plan, and execute your project to your complete satisfaction. Whether it's a new bathroom, a new kitchen, or a complete home remodel, Inside Trim Co will deliver the highest quality services, on time and within budget. Call us today for an estimate! NiMac Interiors was founded in 2012 by Nick Macias. The company aims to take an artistic approach to improving interior spaces in design, beauty and functionality. With 17 years of carpentry experience and a co-operative of skilled subcontractors contact us today to turn any space into your perfect space. We provide the "how-to for to-do's" turning our process into a mentorship rather than a construction project. From custom flower boxes to Total kitchen overhauls, we have the experience to conquer your most unique projects. Chad Palmer of Palmer Custom Woodworks has over 24 years of experience in woodworking and carpentry design. Chad has completed projects in new custom homes as well as remodeled homes. Quality is never compromised--everything is handcrafted and customized to achieve your vision and surpass all expectations. Chad has been featured on HGTV for his hidden door bookcases (which are a client favorite!). As a third generation woodworker, Chad prides himself on being able to think outside the box in order to build exactly what you want. He has completed projects for builders and homeowners from Longmont to Castlerock and as far west as Rifle, and all projects are held to AWI quality standards (Architectural Woodworking Institute). Sawdust Carpentry Services, LLC is owned by Chris Aydlott who is not only a General Contractor (CA Licensed) but also a hands on master carpenter and cabinet maker. Sawdust Carpentry focuses its core values on Quality and Craftsmanship not speed and lowest price. Our prices reflect the overall project scope building the highest quality product with the fewest changes. This gives Sawdust the vision to see the unforeseen and not surprise our clients with change orders. Chris Aydlott is known for his ability to build the unbelievable and is one of the last known true Craftsmen. 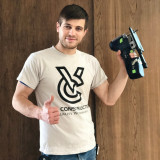 He is also known for his abundance of high quality tooling using his brand of choice - Festool, never leaving any "Sawdust" behind. When you hire Sawdust for your project, not only is your job-site always clean and organized, you're never going to wonder why no one is showing up to work. From start to finish Chris Aydlott will be hands on focusing on your job, making sure your project is completed to the highest quality expectations. Whether residential or commercial, Sawdust has the ability to make dreams a reality. Renfree Carving Studio is a wood carving studio nestled in the foothills of Boulder, Colorado specializing in one- of-a-kind, hand-carved functional art elements for the home and business place. A beautiful door can increase the value of a home, and Renfree Carving Studio brings a one of a kind look to the curb appeal of your home. The master carver, craftsman, owner, and operator of Renfree Carving Studio is Raleigh Renfree, who founded the business with his father and mother under the name Glyphics Studio in 1996. The Renfree family has resided in lovely Boulder valley for over 40 years, practicing the age-old art of chisel and mallet carving, ranging from stone carvings in the round to dynamic bas-relief. Raleigh now proudly carries on the elegant family tradition independently, hewing exquisite functional art pieces that add ageless beauty and value to any space. Story Barns LLC is a small family-owned and operated lumber company with a passion for vintage structures and the stories they have to tell. 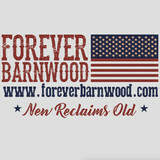 We specialize in Reclaimed Wood Fixtures and Furniture with a Vintage Flair. The following are some of the historically appealing furniture and architectural accents which can be created using reclaimed wood materials: Bench Coffee table Dining table sofa table night stands Sliding Doors hinged doors Accent Walls Countertops By injecting a lot more creativity, you can produce a distinct design and furniture that best suit your own lifestyle using reclaimed wood. Better yet, you can always consult the expertise of the trained and licensed professionals at Story Barns, in order to achieve the most stylish Barn wood decor in town. Professional installation services. Everything from a new door to a set of kitchen cabinets or a basement frame-up. Photography services also available for properties or large items like RV's. Please call or text with questions, expect longer response times through emails from Houzz. King Maker Inc. has been serving Denver with quality custom carpentry & contracting for over 25 years. With knowledge utilizing many different materials and designs, Ryan King can make your vision come to life.